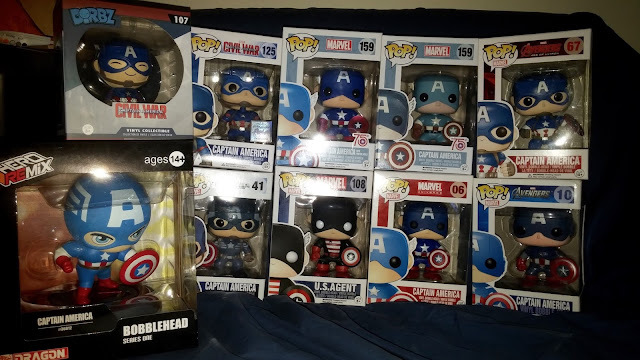 Now have a complete collection of the Captain America Funko Pops. No, this doesn't include the varints or the unmasked versions. Not into that stuff. In this pic is also the Dorbz and the Hero Remix Bobblehead.